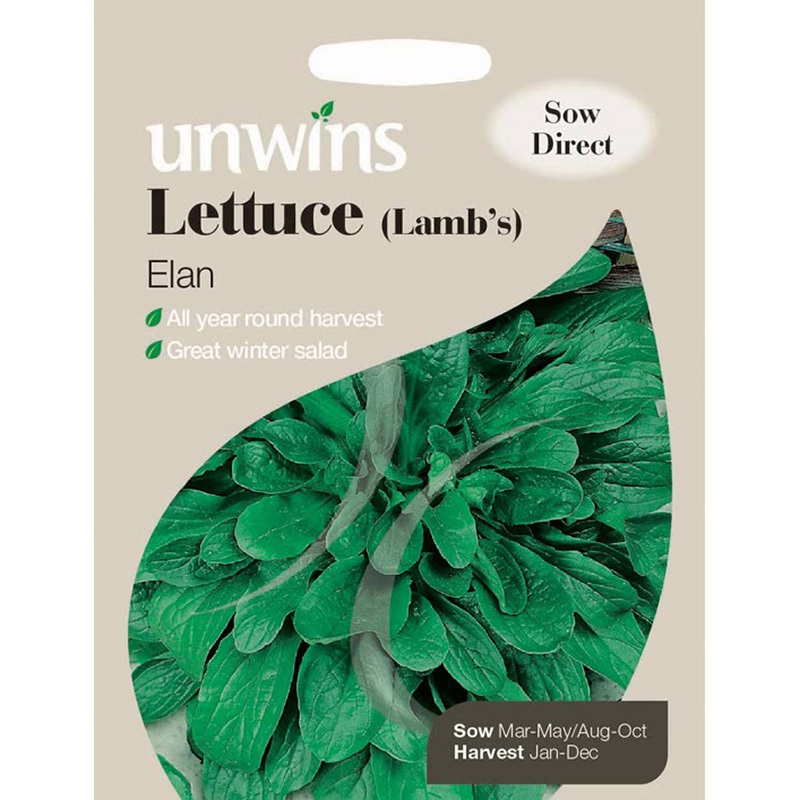 Unwins 'Elan' Lambs Lettuce Seeds: pack of approx 400 seeds, sow directly outdoors: March - May or August - October. 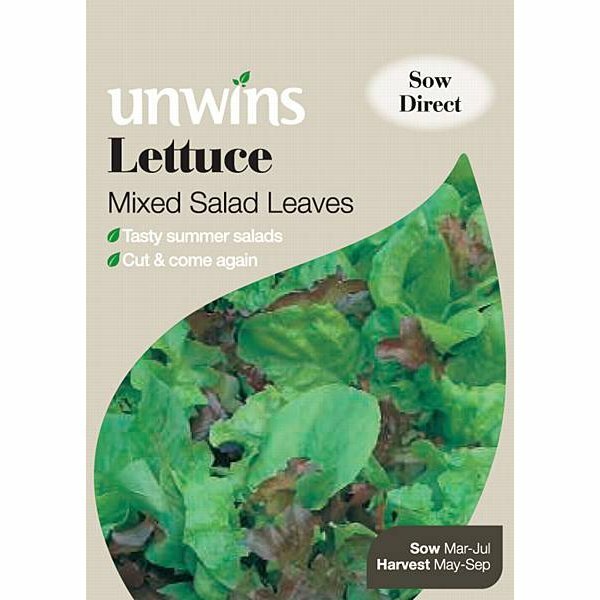 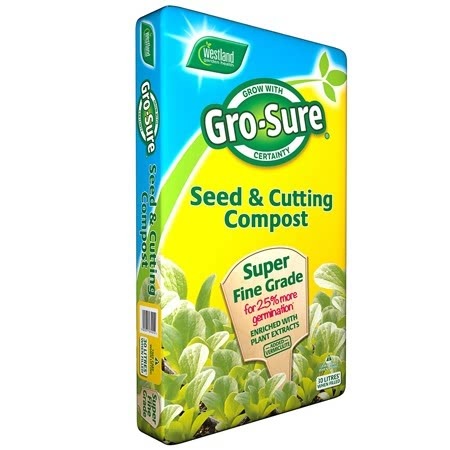 A welcome change from 'normal' lettuce, this delicious vegetable can be harvested all year round, but is particularly useful if autumn sown to produce winter and early spring crops. 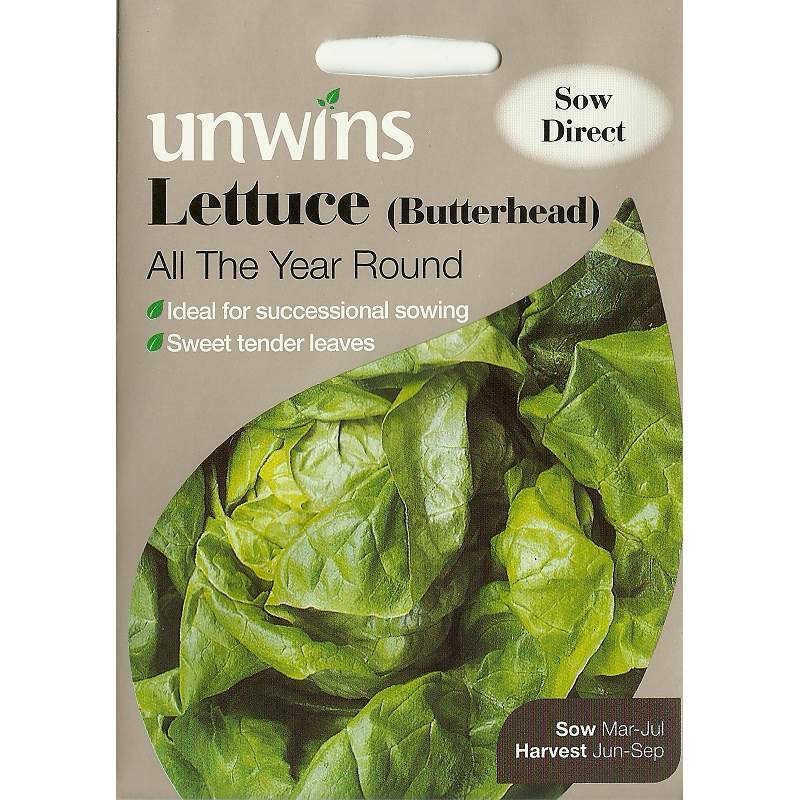 It is also known as corn salad.